Bath Half Marathon will once again take place, and will be held on Sunday 13th March 2016. There will severe road closures which will impact on the AirDecker services. Whilst the event is underway, all journeys will commence and terminate at The Globe roundabout, and will be unable to serve all stops along Newbridge Road and the city centre. Normal service will resume, once the marathon has finished and roads reopened. For further information on how this may impact on your journey, please call us on 01225 330 444! This entry was posted in Uncategorized on February 23, 2016 by Victoria. On the 3rd of February the 22:00, 23:00 and 00:00 buses from Bristol Airport to Bath will be unable to serve the Green Park stop due to roadworks. The buses will divert via Queen’s Square. Passengers can alight at Nile Street or Kingsmead Square. This entry was posted in Uncategorized on February 1, 2016 by Connor Flavell. On Sunday the 14th of February Westgate Buildings will be closed from 7am and 7pm. 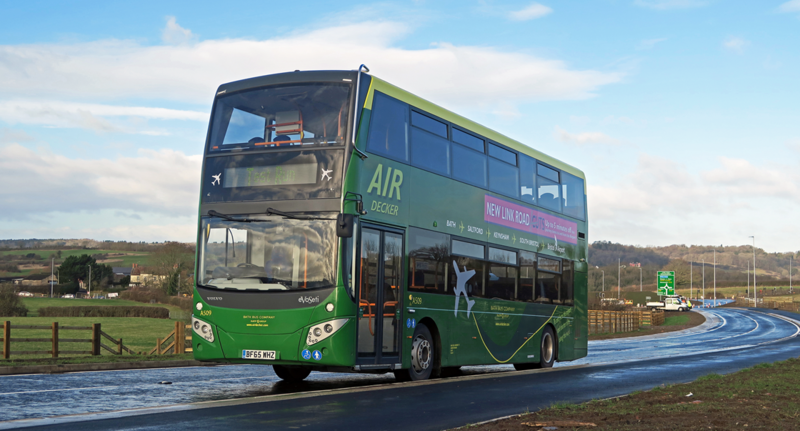 The AirDecker service will be affected and we will be diverting left out of Avon Street and travelling via James Street West to re-join the route at the Charlotte Street/Upper Bristol Road junction. The road closure means that we will not be able to serve the Westgate Building stop on the AirDecker route.